It is in these times that frustration sets in. It is in these times when depression can become a reality. It is in these times that confusion reigns. But, as believers in Jesus Christ, we want to trust God. We know we should trust God. We want to have confidence in God…but how? How can Christians go from confusion to confidence? We go from confusion to confidence by understanding the sovereignty of God and three truths it involves. The Old Testament prophet Habakkuk is going to be our guide. Habakkuk is not just going to be our guide, but we are going to vicariously live through him. We are going to walk in his shoes, think his thoughts, and live his life to fully understand how God’s sovereignty can cause us to go from confusion to confidence. The first truth we must understand to go from confusion to confidence is who Habakkuk is, and by doing so, understanding who we are. As with most minor prophets, God has Habakkuk identify himself. The identity of the man is important. However, his responsibility is just as important. Habakkuk’s responsibility is not supposed to be hidden by his identity. Habakkuk is supposed to perform his responsibility as part of his identity, but he struggles with this. Bruce Wayne struggles with this same issue. He is a multi-billion dollar man. Owner and chief executive of his deceased parents corporation, Wayne has not had to struggle with much in life, except the unexpected killing of his parents (which he witnessed). So Bruce has a major identity crisis, traveling around the world, stealing, killing, fighting, and being imprisoned to find out who he really is. He is in turmoil within himself. He wants to avenge his parents death, but does not know how as a multi-billion dollar corporation owner. So after years of fleeing and some “in the hills, recon, black ninja” training, he returns to Gotham City to seek revenge on his parents murderer. However, he masks his real identity by becoming Batman! However, at the end of the movie “Batman Begins” Batman has another problem. He cannot separate his responsibility as Batman from his identity as Bruce Wayne. Habakkuk has the same issue. His responsibility is part of his identity. As a prophet Habakkuk was to be identified as God before the people. This is true for every prophet God appointed starting with Moses (Exodus 7:1-2). A true prophet from God not only represented God to the people, he would speak as God. And speaking as God meant that every word had to be true and the prophet could not presume to speak his own words as God’s (Deuteronomy 18:18-20). So Habakkuk’s responsibility was to speak God’s Word–to speak it truthfully, to speak it entirely. But Habakkuk’s responsibility was in turmoil with his identity. Habakkuk’s name shows us his true identity. Habakkuk means to “wrestle” or “embrace”. And it becomes evident quite quickly in the book of Habakkuk that the one with whom Habakkuk wrestles is God. Habakkuk does not wrestle God physically like Jacob, but theologically. 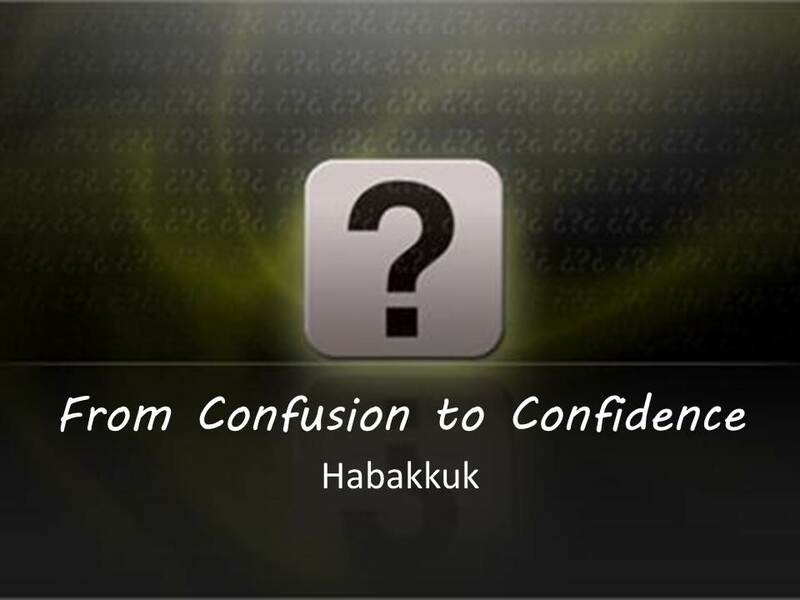 Habakkuk is confused and upset with his understanding of God and the way he perceives God working. And as this wrestling match continues Habakkuk only gets more confused. But at the end of the book we see that through all this wrestling Habakkuk embraces God as well. Habakkuk wrestles with God’s justice, but embraces God’s sovereignty. Habakkuk wrestles with God’s judgment, but embraces God’s control. Habakkuk was a wrestler. But Habakkuk was also an embracer. What about you and I? Are we wrestling embracers? Do you wrestle with the deep things of God only to find yourself embracing Him more? There are two positions we can take that are both incomplete. First, we can levitate toward being only an embracer. We do not wrestle to understand our God. We only embrace everything at face value. We do very little deep thinking or meditating about God and His character. The catch phrase for those who tend to be just embracers is “Let go, and let God”. Secondly, we can gravitate toward being only a wrestler. We struggle against God in every area of life. We don’t truly seek Him, instead we only seek to defend our point of view. Those who struggle with being just a wrestler have the motto, “I must understand”. Which one are you more prone to be: a wrestler or an embracer? Habakkuk reveals to us that we must be both. But while we lived vicariously through Habakkuk in order to understand how to go from confusion to confidence, there is a greater wrestler who came and lived vicariously for us. 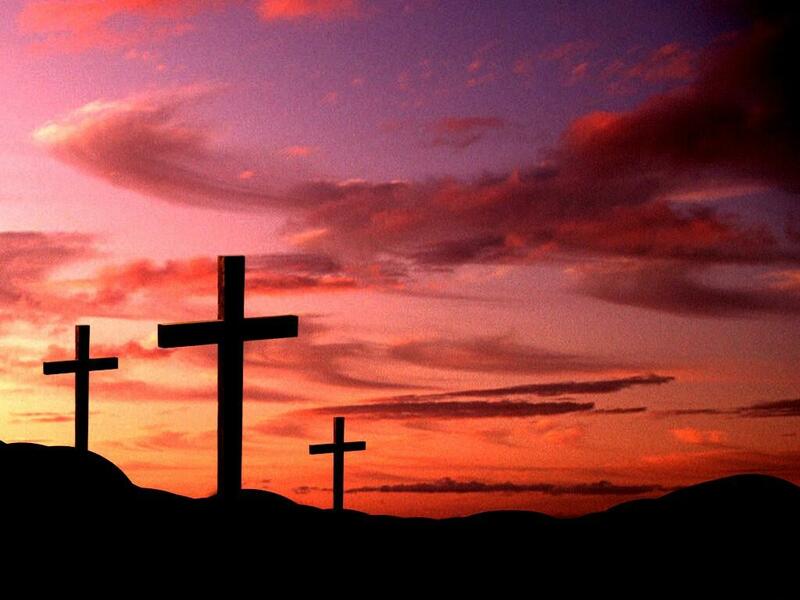 Jesus came and wrestled sin so that we could embrace Him. Jesus came and wrestled the ultimate injustice of our world, so that we could embrace His life, death, burial, and resurrection. Have you wrestled with Him? Are you embracing Him today?